The indie rouge-like dungeon crawler Tangledeep has proven to be yet another Switch success for its developer Impact Gameworks, who shared that the Switch port sold in its first week what the Steam version sold in six months. Thanks to this roaring start, the studio made back the development costs for the Switch release. Meanwhile, Tangledeep sold best in Japan at 33% of the overall audience. While no sold numbers were shared, Impact Gameworks promises to release the DLC expansion Legend of Shara if Switch sales continue to be brisk. 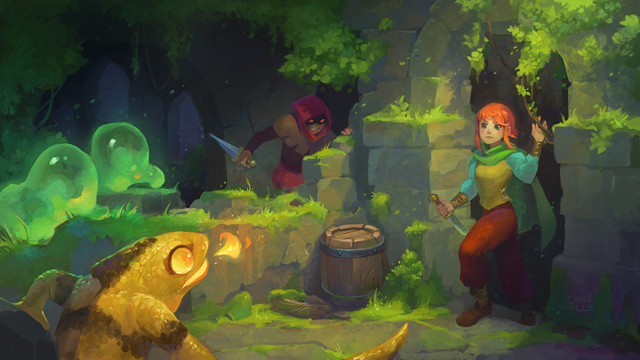 Tangledeep launched on Nintendo Switch on January 31st, 2019, following the original Steam Early Access release for PC in July 2017. Look for our own Oprainfall review tomorrow morning as of this publication.